What a lovely first week of fall! Jeremy drove out to Crested Butte to join me for the weekend. We’re not very good about celebrating our birthdays on time because September is typically a very busy month for both of us. We don’t buy presents for one another, we rarely throw birthday parties, we don’t even exchange cards. So the agreement was that we’d postpone our birthday dinner until we could be together. 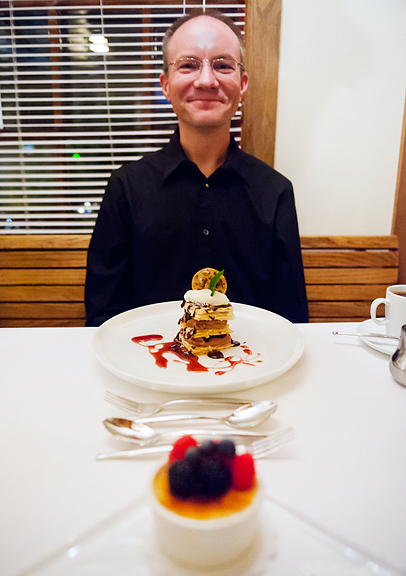 I took Jeremy to Soupçon, a truly special and exceptional restaurant in the heart of Crested Butte. You’ll hear more about it in a later post. 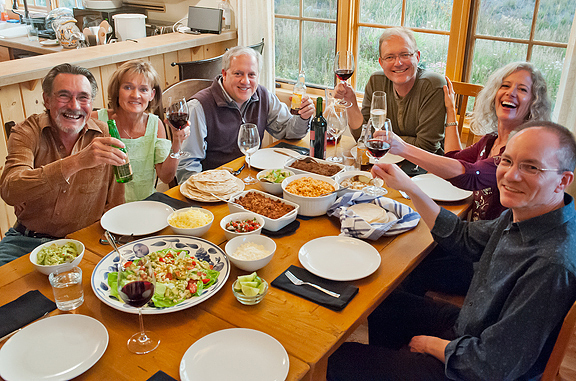 The following evening we hosted several of our wonderful friends/neighbors for a New Mexican feast at our place. 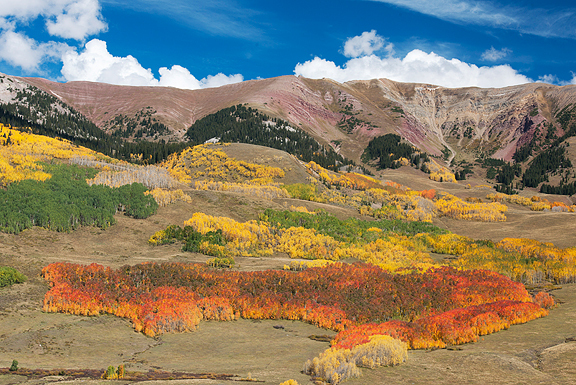 And of course, we chased a lot of fall colors both figuratively and literally – it’s the reason I’m here in Crested Butte! It’s been a big mix of colors this year which is far far better than anything we had last year (a total dud of a season). 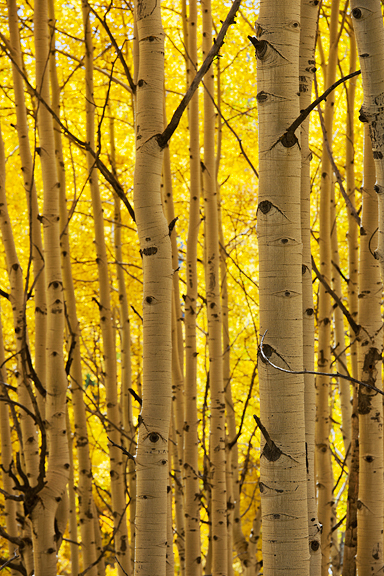 Aspens are predominantly golden come autumn, yet I can’t recall seeing so many brilliant stands of reds in the ten years I’ve been shooting fall colors in Colorado. I’m still waiting for a lot of the big stands to come online as they are still green. My hope is that they’ll weather these cold storms and then put on the magic show when Indian Summer returns. Even if the aspens finished tomorrow, I would still be quite pleased with the season we’ve had thus far. Fall is also that amazing time of year when New Mexico’s green chiles are harvested and roasted. It’s one of the reasons we decided to host a New Mexican dinner – that and the fact that New Mexican fare is addictively good. We had three current or former New Mexico residents at dinner (Jeremy is the former) who could school us on red and green chile. If you are asked, “Red or green?” in a restaurant in New Mexico, it means “Would you like red or green chile sauce on your order?” You can answer red, green, or Christmas (both). I love green chiles so very much, but I must admit that I am a red girl. I love the red sauce. LOVE IT. I’m always annoyed when I have to buy canned enchilada sauce, because Colorado has a fear of hot enchilada sauce. It’s even a chore finding medium heat sauce. But really, you should just make it yourself because it’s ridiculously easy and – as always – far superior in quality and flavor to what you buy in the store. You maybe a little confused. Red sauce? Enchilada sauce? They are the same. In New Mexico, it’s red chile sauce or New Mexico red sauce. 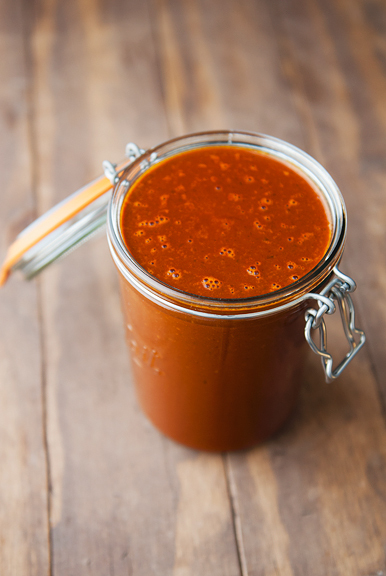 In the rest of the country, it’s enchilada sauce. 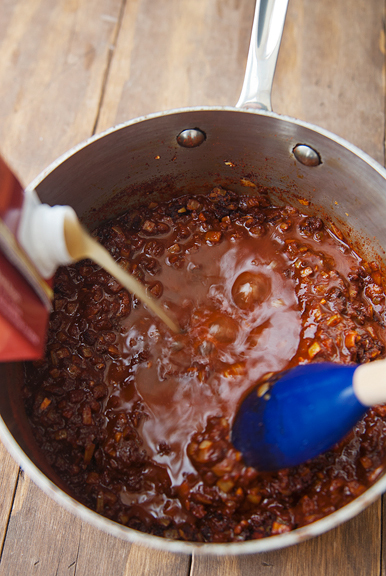 There is no tomato in this sauce – the red comes from red chiles, as it should. It’s merely a matter cooking up some onions and garlic and then mixing the rest of the ingredients in. Then simmer for 20 minutes and you’re pretty much done. As you can imagine, the chile powder you use is going to make all the difference. 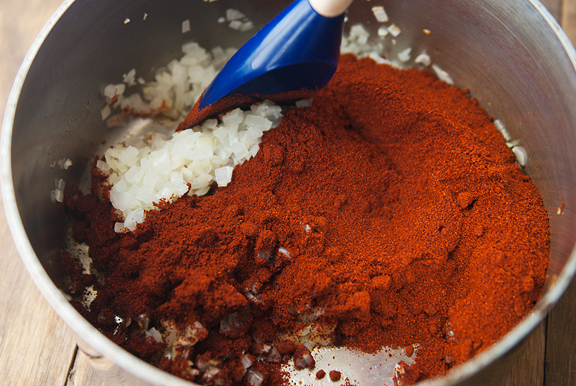 “Chili powder” is a blend of red chile powder and additional spices like cumin, salt, and pepper. Chile powder should be 100% ground red chiles. You should be able to find bags of it in Mexican markets or international food sections of the grocery store. I bought mine from a roadside stand in southern Colorado. 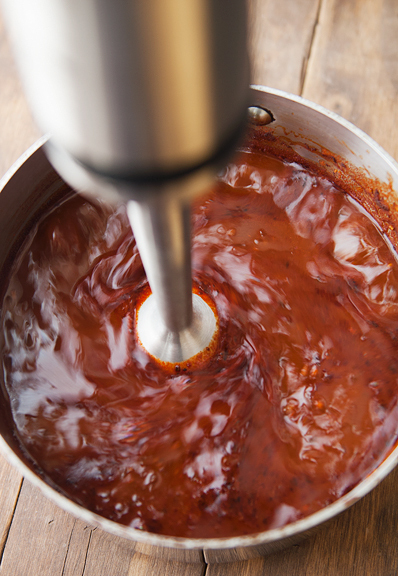 When the sauce is done, you can leave it as-is or blender it to make it smooth. I like my sauce smooth, so I used my immersion blender. I recommend wearing an apron or perhaps immersion-blendering the sauce in a larger (taller) pot. 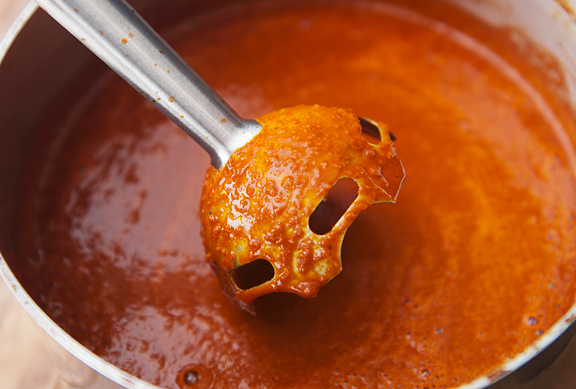 Make your red chile sauce as hot or mild as you like based on the heat of your chile powder. The sauce will store in the refrigerator for 5-6 days or you can freeze it. 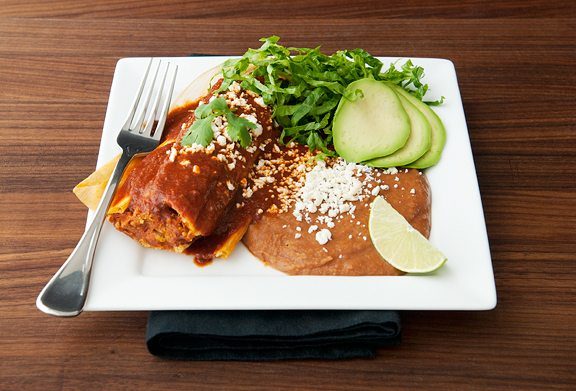 We love to make enchiladas with the red sauce, but it’s great on almost anything: tamales, enchiladas (beer chicken green chile enchiladas, easy stacked enchiladas, chile rellenos, wet burritos, chimichangas, refritos, huevos rancheros. How can something so easy be so darn good? In a medium saucepan, heat the vegetable oil over medium high heat. Add the onions and garlic and sauté until the onions are limp. 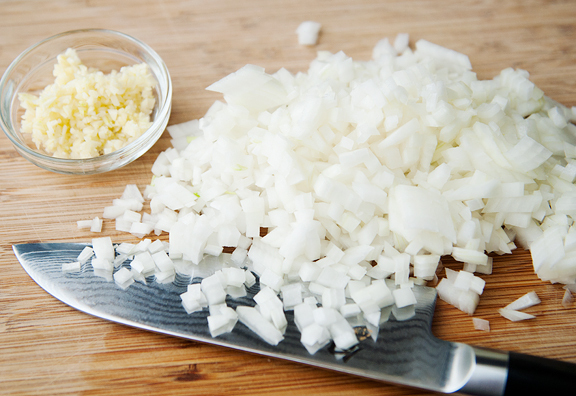 Stir the chile powder into the onions and garlic. 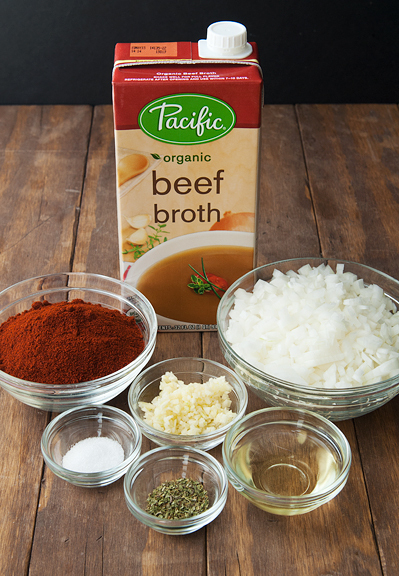 Stir in 1 cup of beef broth (or water) at a time. Add the oregano and salt then bring the sauce to barely a boil. Reduce the heat and let simmer for 20-25 minutes. It will be thin, but should coat your spoon. If you like a smooth sauce (I do), you can let the sauce cool and place it in a blender or use an immersion blender to purée the whole thing. Refrigerate for 5-6 days or freeze the sauce. Makes 4 cups. I am ashamed to admit that I always assumed there was tomato in enchilada sauce. I haven’t bought any in over 20 years if that helps excuse my ignorance! I’ve never really liked it, maybe it’s time to make homemade. I’m glad this fall is better than last, and that you are sharing the gorgeous shots with us. Happy birthday time to you…what a great time of year to have another reason to celebrate! Yum! My husband is from New Mexico, and his mom overnights him a frozen box of roasted Hatch green chiles every fall. We just got our new supply, so we made green chile sauce and served it with chicken tacos one night and huevos rancheros the next morning! The last time we were both in Albuquerque, we brought back a big bag of dried red chiles and made some salsas and enchilada sauce. Both were good, but we’re definitely green chile lovers in this house. 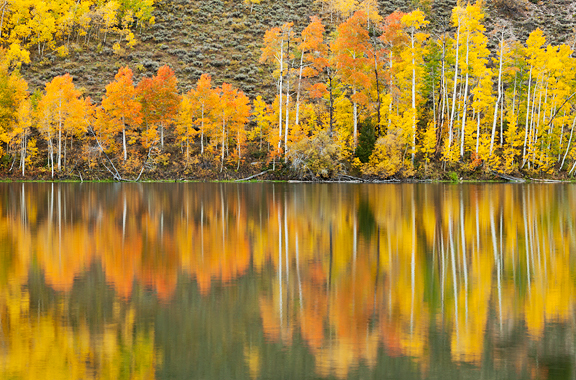 Your fall color photos are beautiful! 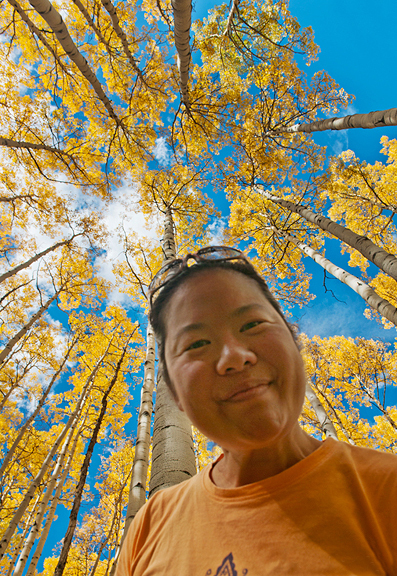 I’m excited to see some red aspens! Jen, Your photos are exquisite…took my breath away! Thank you so much for sharing them and for the education on red chili sauce. This PA girl is going on an internet search to find authentic chili powder. If anyone can direct me to a good spot, I’d be quite grateful, as I’m sure I have to find it online. “Now that’s a plate full of happy.” YES! Like Kristin, I also was never aware of the lack of tomato! I always used to do garlic, onion, tomato and lots of chili powder. This one clearly looks more delicious! While I like green, I’ve always preferred red. Every place I’ve lived, I’ve tried all the Mexican restaurants to find an acceptable red sauce, but it just never happens. No one does a good red sauce like a New Mexican restaurant. When I’m not in NM, I make my own. Thanks for another version. Oh man add an addendum for your enchiladas pleeeeease. You have the best job in the world…I’m sure you know that. Wow. I. Want. To. Be. There. Now. Those aspens!!!!! Ok. And the red sauce too. I’m green with envy in both the fall colors and this sauce! Living in SoCal we certainly have plenty of “hot” sauces but I want to make my own. And those New Mexico chills, oh yum, especially the Big Jims! 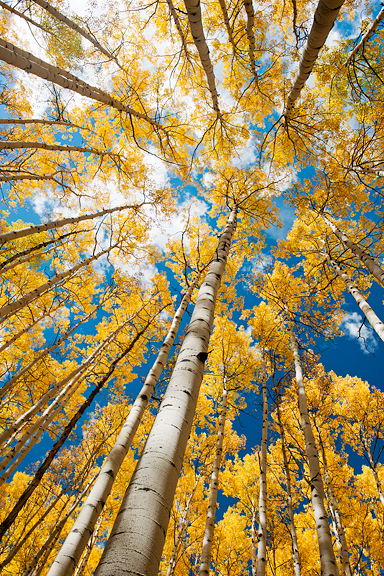 So enjoying your fabulous photography of the Colorado fall colors. Dreaming of my last year trip to the Eastern Sierras! Heading to Virginia in a few days so will be checking out their fall colors. 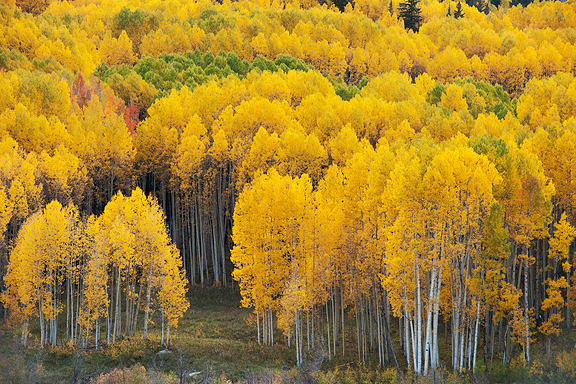 I can image that any one of those aspen pictures will enhance my living room walls. 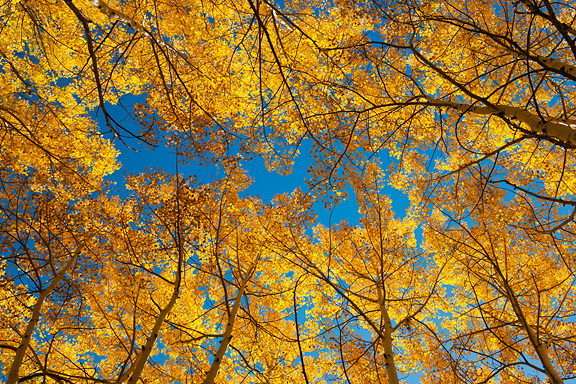 Gold color is typical Colorado fall color. Virginia’s fall color are red dogwood leaves and varieties of red, yellow and golden leaves of maples, and oaks. Sailing on the James River or York river in the fall is a joy. 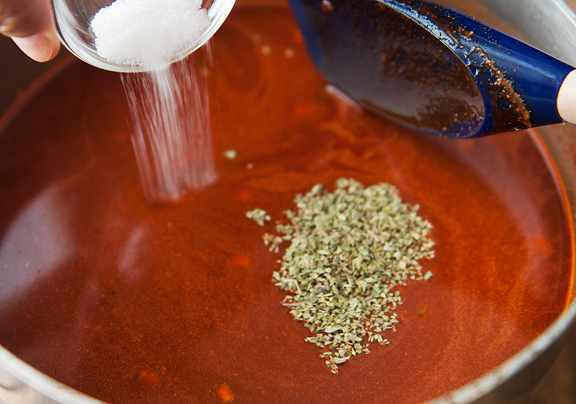 This may seem like a silly question, but what is “red chile powder”? I’m assuming you don’t mean cayenne. Maybe New Mexican chile powder? 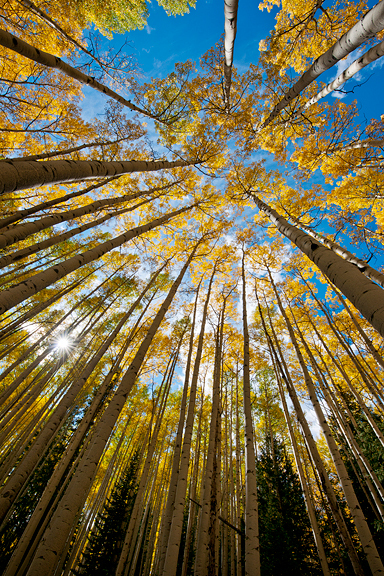 I love all the angles and differences in your aspen photos. Such a delight to see all the varieties. Brianne – We like both red and green, but given our druthers, it would be red. So glad you enjoy the fall photos! suzyMcQ – you’re so welcome. And if you have a Wegmans nearby, they will likely carry it. If not, you can probably order online. Judy – it’s so true. If not in NM, just make your own, right? Marissa – oops! I’ll add those now!! 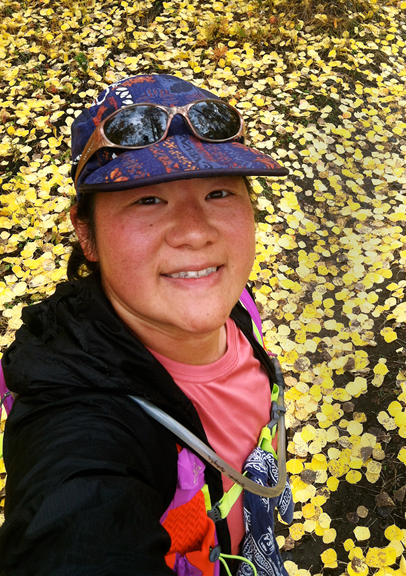 Denise – Virginia should have some beautiful colors too! Lisa – Hope you all are enjoying your autumn. Ancho Chile Powder. I did not get this one from there but at a grocery store I think, Spanish Paprika. 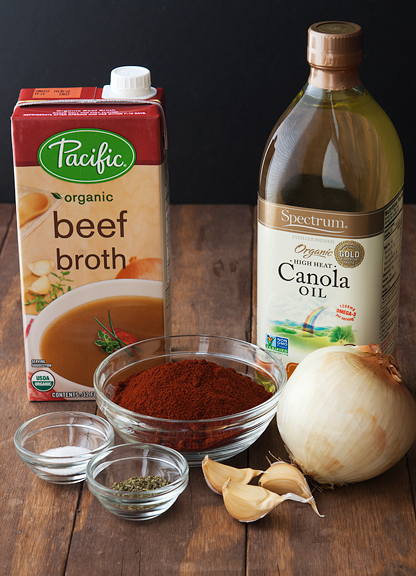 When I make a red sauce for those that do not like heat, I use this and it makes a nice red sauce they can handle while some of us eat the best red sauce. Also, for chicken enchiladas I also get the Angelina’s Gourmet Jalapeno Powder from Amazon. They are all wonderful. I bought other spices from them also. They are in 16oz containers. Have fun. I am going to go warm my enchiladas up now. Yumm, you made me hungry.